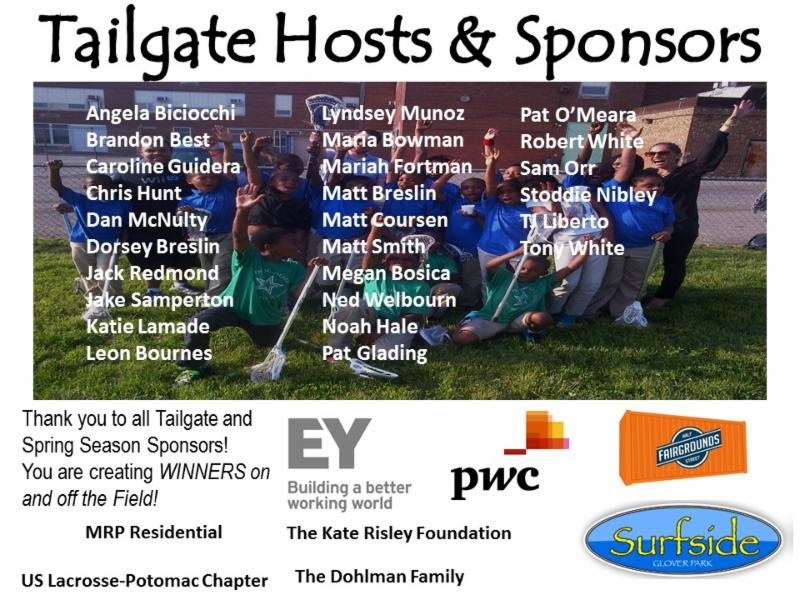 WINNERS Lacrosse Tailgate – THIS SATURDAY! Tickets Still Available to Tailgate & Nats Game! Interested in sponsoring this event and showing your support to thousands of people at the Fairgrounds? 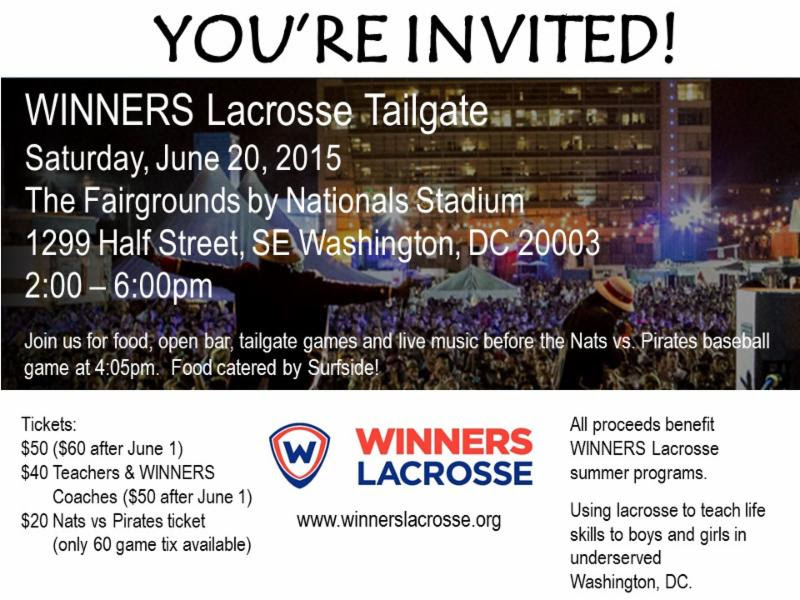 Please contact Matt Breslin at mbreslin@winnerslacrosse.org. For out-of-towners and those who can’t make it on the 20th, here’s a link where you can make a donation to this worthy cause: CLICK HERE! CLICK HERE FOR YOUR TAILGATE TICKETS! If interested in becoming a sponsor for the 2015 WINNERS Spring Tailgate – please contact Matt Breslin HERE. Sponsoring the WINNERS Tailgate is a GREAT way to show your support to THOUSANDS of people at the Fairgrounds! All proceeds benefit WINNERS Lacrosse Summer Programs. Your help and support will send hundreds of DC youth to summer camp in 2015!